Widely considered the largest and most prestigious silent film festival in North America, 21 feature films from nine countries will be represented at the Fest, with more than 40 musicians from around the world accompanying the various programs. There's something of a debate floating around film circles. It centers on the question, "Does it matter if you see a film in a theater or at home?" To the tens-of-thousands of movie buffs that attend film festivals scattered across the United States and Canada, the answer is "yes". Hoping to experience what they can't get in the comforts of their living room, festival goers consider a grander viewing experience (picture quality, sound) and a social experience (camaraderie, or the chance to rub elbows with a celebrity) as motivating factors in attending a festival. To the crowds who attend the San Francisco Silent Film Festival there's another reason: rarity. Put simply, film buffs can't see many of these movies at home (whether it be on TV or on DVD) – let alone experience them in a way in which they were meant to be seen, with live musical accompaniment, on a big screen, with original color tinting, sound effects, etc. It's what's being called "live cinema". Add to that a curated event complete with in-person introductions and a book-like program, and you have the makings of a transformative cinematic experience. In the past, for example, the SFSFF has shown William Wellman's Wings (1927), the first film awarded the Oscar for Best Picture, with live sound effects by Ben Burtt, the four-time Academy Award winning sound designer (Star Wars, Indiana Jones). On the Castro Theater's big screen Wings looked and sounded stunning. One year, King Kong star Fay Wray introduced one of her memorable silents, Erich von Stroheim's The Wedding March (1928). While another year, Tony award winning actor Sydney Chaplin introduced one of Charlie Chaplin's best films, The Circus (1928), complete with his Father's original score. Contemporary directors Alexander Payne, Terry Zwigoff, and Guy Maddin have also introduced films. And last year, hip-hop trailblazer DJ Spooky provided a riveting live musical accompaniment to Oscar Micheaux's Body and Soul (1925). This year, the SFSFF added an extra day to its already packed schedule, and presents 23 programs over five days, all with live musical accompaniment. The Festival has long emphasized film preservation, and this year's film restorations dominate the schedule. Notably, ten of the 11 restorations being shown are making their North American premiere. Robert Byrne is the SFSFF President and a noted film preservationist. He's also an enthusiastic proselytizer for early film. Asked which film at this year's festival shouldn't be missed, Byrne had trouble singling out just one. 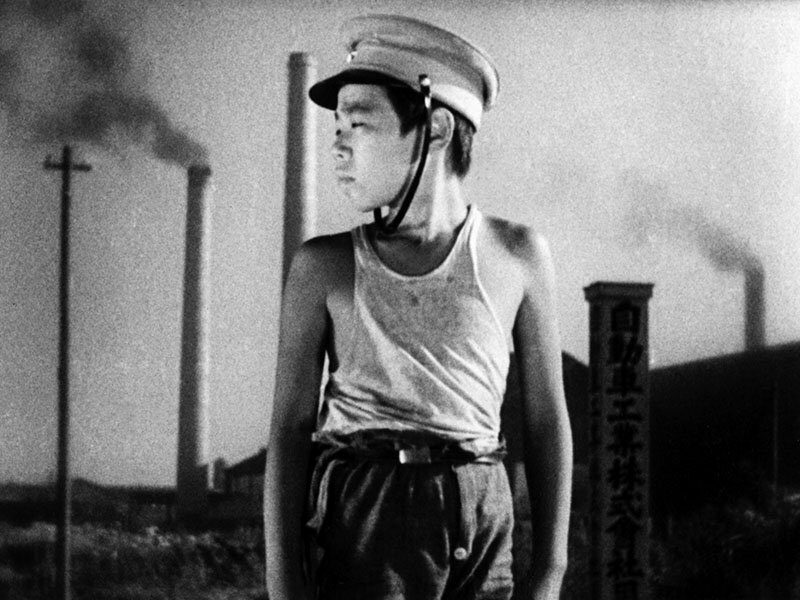 "I absolutely adore Ozu's An Inn in Tokyo (1935)," Byrne comments in an interview, "It is a beautiful story, simply told. I am recommending it to people that have never seen a silent film. It is guaranteed to shatter their preconceptions of silent era filmmaking." An Inn in Tokyo is showing on May 31st. "Another favorite is Fragment of an Empire (1929)," Byrne adds. "We just finished restoring the film in partnership with EYE Filmmuseum in Amsterdam and Gosfilmofond of Russia. It was a full year of work but the result is a complete reconstruction, including the original titles and shots removed by censors. It looks absolutely gorgeous." Fragment of an Empire tells the story of a shell-shocked soldier from the first world war who regains his memory and must come to terms with the realities of contemporary Soviet life, circa 1929. It's the work of Soviet director Fridrikh Ermler, who was once celebrated by filmmakers such as Sergei Eisenstein and G.W. Pabst. Today, however, Ermler is little known. The SFSFF hopes to raise Ermler's reputation and festival attendees will be among the first to rediscover this forgotten filmmaker. Byrne, who will introduce Fragment of an Empire on June 3rd, stated that the film's "print is fresh from the lab and the SFSFF will be the very first time it has run through a projector." 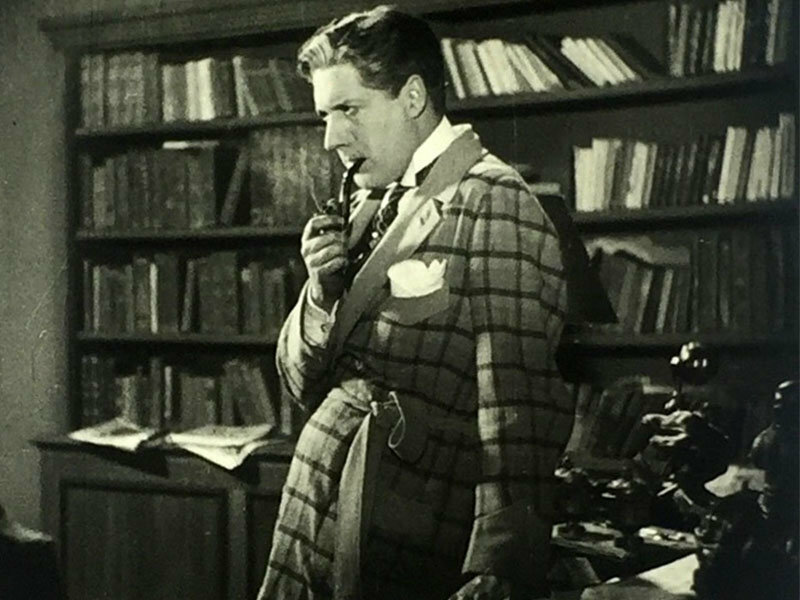 One of the four restorations at this year's Festival credited to the SFSFF is a German version of Arthur Conan Doyle's The Hound of the Baskervilles (1929). Directed by Richard Oswald and long considered lost, this version of the classic thriller was the last Sherlock Holmes film shot during the silent era. A few years back, Byrne made news around the world for his work in helping preserve another lost Sherlock Holmes film, a 1916 feature starring William Gillette, the actor who first defined the character we know today. Byrne had a hand in this restoration, which is considered by film scholars the most important version of Hound of the Baskervilles produced in Europe. The SFSFF restoration is a collaboration between with the Filmoteka Narodowa – Instytut Audiowizualn in Poland, based on film materials conserved at the Polish archive. The surviving film, an incomplete 35mm nitrate print, had Czech intertitles. Byrne describes The Hound of the Baskervilles restoration, "a German film, with Czech titles, in a Polish archive" as "one of the most complicated reconstructions" he and the SFSFF has undertaken. "The end result is startlingly good. It is an exciting interpretation of the Sherlockian classic, with very high production values and starring an international cast." More than film buffs are excited. Holmes' fans, including members of the Baker Street Irregulars, a world-wide literary society devoted to the famed fictional detective, are coming from all over for the premiere of the June 2nd The Hound of the Baskervilles restoration. The festival, which runs May 30th through June 3rd, begins with Universal Pictures' new restoration of The Man Who Laughs (1928). This adaptation of Victor Hugo's 1869 novel about a man disfigured from childhood is considered one of the great films of the silent era. In a 2004 review, Roger Ebert described The Man Who Laughs as "a melodrama, at times even a swashbuckler, but so steeped in Expressionist gloom that it plays like a horror film." Conrad Veidt, the star of the film, wore a horribly uncomfortable makeup device that distended his mouth. His facial disfigurement — a permanent grotesque smile, influenced the look of The Joker in the later Batman comics and films. 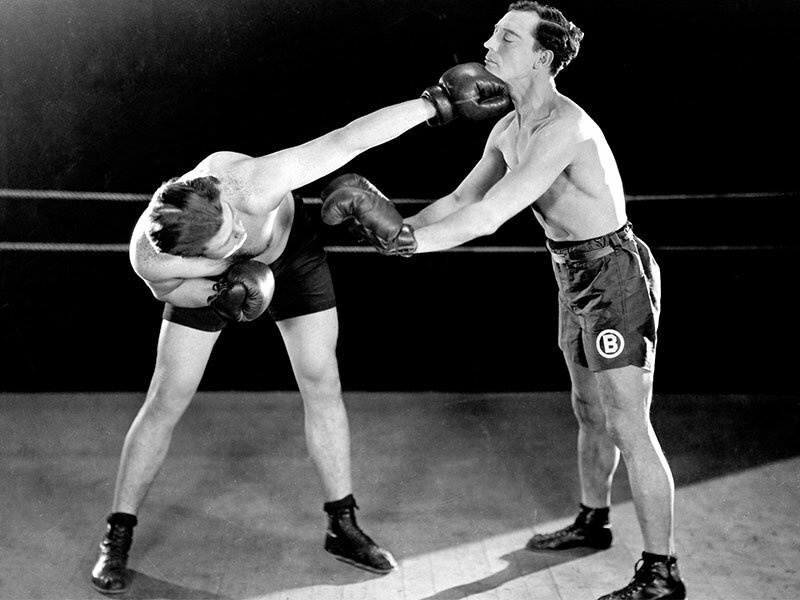 To close the festival on June 3rd, SFSFF will present the North American premiere of a new restoration of Buster Keaton's Battling Butler (1926). The film, which Keaton considered a personal favorite, was one of the few for which the comedian took full directing credit. It's the story of a wealthy fop who takes a high-end camping trip, meets a country girl, falls in love, and proposes marriage. When her he-man father won't consent to a union with a wealthy weakling, Buster masquerades as a prizefighter (who happens to share his name) to win the day. Author and entertainment historian Leonard Maltin will introduce the film. Another new restoration is The Saga of Gösta Berling (1924), a Swedish silent featuring Greta Garbo in her first starring role. Based on the novel by the Nobel Prize-winning Swedish author Selma Lagerlöf, it tells the story of a defrocked minister, played by Lars Hanson. This new version, which will be shown on June 2nd, is 16-minutes longer than previous restored versions, bringing the film closest to its original length of 200 minutes. It also restores the film's original tinting for the first time since its release nearly a century ago. All together, 21 feature films from nine countries will be represented at the festival (Denmark, France, Germany, India, Italy, Japan, Sweden, USA, and the USSR), with more than 40 musicians from around the world accompanying the various programs. A number of recently commissioned scores will also premiere at the Festival. Among the musicians participating in this year's Festival are the Matti Bye Ensemble (a quintet from Sweden and Finland), the Berklee Silent Film Orchestra (student composers, conductors, and players from the Berklee College of Music in Boston), and the Mont Alto Motion Picture Orchestra (Colorado) – as well as klezmer specialist Alicia Svigals (New York), Güenter Buchwald (Germany), Stephen Horne (England), Frank Bockius (Germany), Donald Sosin (New York), and Sascha Jacobsen and the Musical Art Quintet (San Francisco). History buffs will not want to miss San Francisco, 1906, the newly found post-Earthquake footage which recently made headlines. This historic newsreel is being shown for only the second time since its discovery at a Bay Area flee market. The San Francisco short, which runs a little more than nine minutes, will be shown prior to the June 2ns presentation of Trappola (1922), an Italian comedy starring Leda Gys, one of Italy's most-loved divas. Another unmissable film that same day is Mare Nostrum (1926), a story loosely based on the WWI spy Mata Hari. Espionage, romance, and submarine warfare come together in this Rex Ingram-directed film, which was shot in the Mediterranean and based on a work by Vicente Blasco Ibáñez, a once popular Spanish author best known for The Four Horsemen of the Apocalypse. Adding to the glamour of the Mare Nostrum presentation is the fact that the restored, tinted print to be shown at the Festival comes from the collection of Kevin Brownlow, the world renowned English film historian, author, and documentary filmmaker. In 2010, Brownlow was given an Honorary Academy Award. It was the first and so-far only time the Academy of Motion Pictures Arts and Sciences has so honored a film preservationist. Film director Martin Scorsese describes Brownlow as a "… giant among film historians and preservationists, known and justifiably respected throughout the world for his multiple achievements." Brownlow, who will be celebrating his 80th birthday on June 2nd, will introduce the film. Among the other films set for the 2018 Festival are two Westerns, No Man's Gold (1926), a Lewis Seiler directed film featuring cowboy star Tom Mix, and Soft Shoes (1925), a Lloyd Ingraham directed film starring Harry Carey. The latter is the story of a small-town sheriff who comes into an inheritance and travels to San Francisco to collect. Of course, all hell breaks out in the crime-ridden metropolis, but the plucky sheriff holds his own, gets the girl, and saves the day. No Man's Gold shows June 2nd, and Soft Shoes shows May 31st. Rosita (1923), recently restored and premiered at the Museum of Modern Art in New York, is an atypical Mary Pickford film and the first American movie by the German director Ernst Lubitsch. It will be introduced by film historian, author and Pickford expert Cari Beauchamp. Also on the schedule is Policeman (1933), a stylish crime drama from Japan which shows the influence of both Hollywood and the German film industry. Directed by Tomu Uchida, Policeman will be introduced by author and "film noir Czar" Eddie Mueller. Both Rosita and Policeman will be screened on June 1st. Another little known and rarely scene masterpiece on the schedule is A Throw of Dice (1929), an Indo-German production directed by Franz Osten. Based on an episode from the Indian epic The Mahabharata, the film tells the story of two kings vying for the hand of a young woman. Shot on location in Rajasthan, India, A Throw of Dice features Indian actors Seeta Devi, Himansu Rai, Charu Roy, and Modhu Bose in the starring roles, along with a cast of more than 10,000 extras. There are also thousands of animals among the film's stunning visuals, all of which capture landscapes of long ago and far away. A Throw of Dice shows June 3rd. Along with an emphasis on film preservation, part of the SFSFF agenda is educational. Whether it's popular films or lesser known gems, it is what Byrne calls "sharing the silent film experience." On June 1st, there's a program of avant-garde films with work by Marcel Duchamp and Robert Florey, among others. 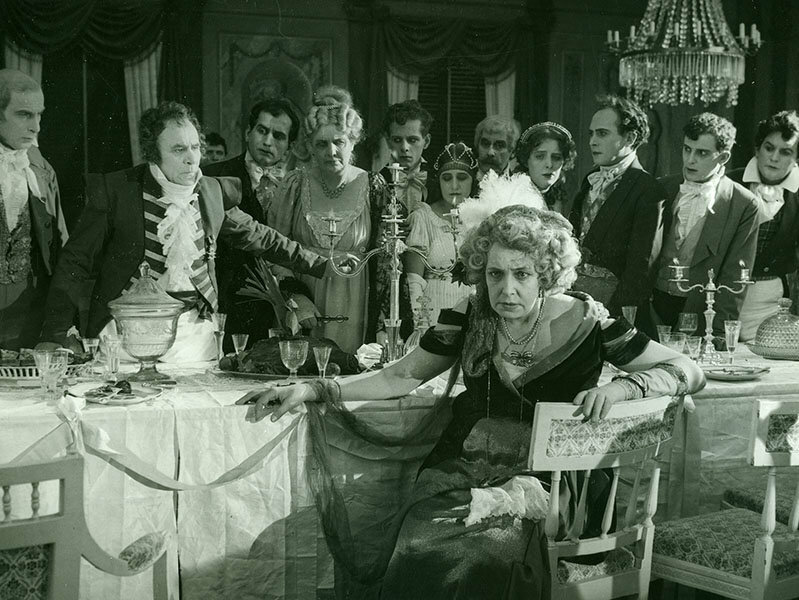 On June 3rd, the wildly entertaining French preservationist Serge Bromberg will present a stereoscopic demonstration as well as 3D films from Georges Méliès and the Lumière Brothers, which date from the beginning of the 20th century. To encourage interest in silent cinema, the Festival has put on a free program for a number of years running. The Amazing Tales from the Archives presentation features archivists and scholars from Europe and the United States talking about their work. This year, the program includes an examination of the first successful color process for motion pictures, as well as the detective story that led to the rediscovery and restoration of The Hound of the Baskervilles. Amazing Tales from the Archives presents on May 31st. Tickets to the San Francisco Silent Film Festival may be purchased on a film by film basis, or at a discount for the entire event. Further information, including a complete line-up of films, musicians, and special guests, can be found at Silent Film.org.